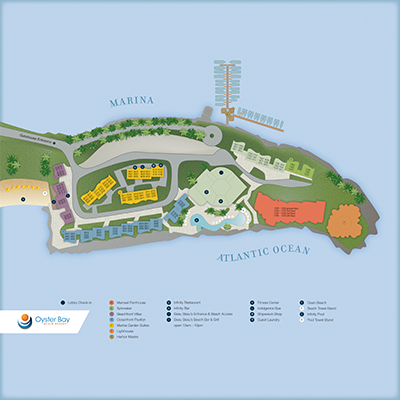 Located on the eastern edge of St. Maarten in the Caribbean, Oyster Bay is a microcosm of island life. Just south of the amicable dividing line between the French (St. Martin) and the Dutch (St. Maarten) sides, Oyster Bay Beach Resort is the perfect blend of paradise living — breathtaking ocean views, sandy beaches, comfortable rooms, private yachts, exclusive property, on-site dining and Caribbean nightlife. 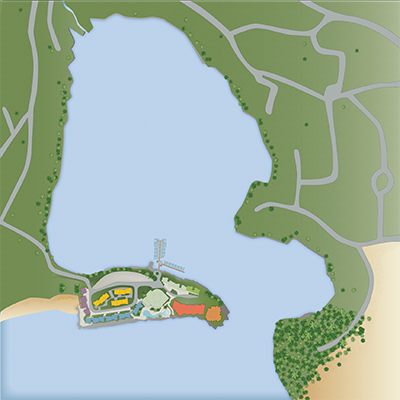 Comprised of 37 square miles of island paradise, St. Martin/St. 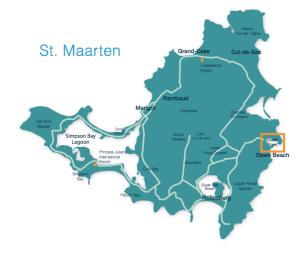 Maarten offers the best of what the Caribbean has to offer: international cuisine, duty-free shopping, a hip nightlife, bustling casinos, “clothing optional” beaches, outdoor excursions, water activities and more. You can even sail off from our own private marina for day trips to any of the nearby islands: Anguilla, St. Barths or Saba. Located away from the hustle and bustle of Simpson Bay, Philipsburg, etc, OBBR is a great place to relax and still have access to the entire island, especially the French side.